Your blog.... that blank canvas that is a reflection of your soul, food habits, relationship, career, travel, business, music, design, code - anything you want it to be. That was one of the questions posed last evening at the Northeast PA Wordpress meetup I attended along with about a dozen others at the fabulous Coalwork in Scranton. We're a large region; a whole quarter of the state, but a small community of digerati - there were only three people I didn't know (someone please adopt Jerry). The theme of blogging was a bit unusual for the group, which generally tackles more technical aspects of the CMS, but wow....I think it went over really well. 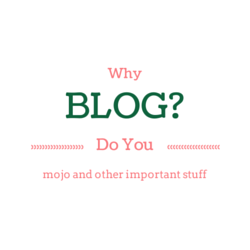 Where do you blog, is your blog neglected, what do you do when you run out of ideas, how often do you post, why don't you blog regularly, what do you blog about, where do you get inspiration for posts????? These and other topic starters were presented by Colin Devroe, chunked out in 8 minute conversational segments. Participation was authentic and thoughtful, and everyone seemed interested and appreciative of perspectives, tips, and motivation. You know it's good when it's over and you see comments on social media about getting your groove back, feeling all juiced up and having new ideas. Whether you use your personal or professional voice, have a minimalist theme you set up yourself, or a full-blown designer customized or hand-coded sweet, slick, monetized magazine, the editors all have much more in common than not.. a blank screen with a toolbar. In the end, the key to blogging is to log in to the back end and start typing. For yourself, your passion, your career, your business, or for any reason at all. P.S. My physical presence on a daily basis is most exclusively in Luzerne County, since that's where my wonderful office is - but if I didn't have one, and it wasn't a 30-60 min. drive over the trans-county eternal construction zone/parking lot that is 81N (hello my friends at PennDOT) I would totally be a member of Coalwork. I have been enamored with co-working for long, long time, and talked about it here, here, andhere. I agree. I hate ruts but life happens. I’ve recently got me groove back and am loving it. PatriciaStreete I’m glad to hear you got your groove back and thanks for stopping by!